Simon Bloom and his friends, Owen and Alysha, aren’t ordinary seventh-graders. Ever since Simon became Keeper of the Teacher’s Edition of Physics and led his friends in defeating the deadly Sirabetta, they’ve been having fun playing with the laws of physics and hanging out with their all-seeing Narrator. That is, until Sirabetta escapes and sets out for revenge. Now Simon and his friends must follow her to the Order of Biology’s realm, a vast undersea dome filled with harsh terrain and fierce beasts. Simon and company will get help from old friends and new, plus some wild abilities from the Book of Biology, but that might not be enough to defeat Sirabetta and her ruthless army. 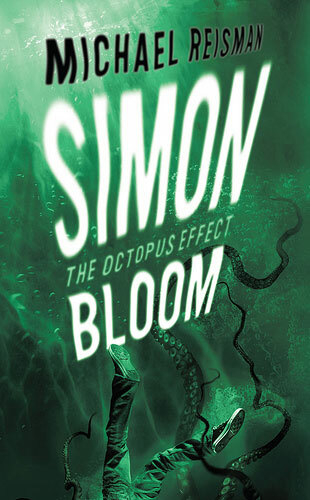 Science and magic will blend and bend – with the universe at stake – as Simon struggles to master the Octopus Effect in this laugh-filled, action-packed and dynamically narrated sequel to Simon Bloom, the Gravity Keeper.